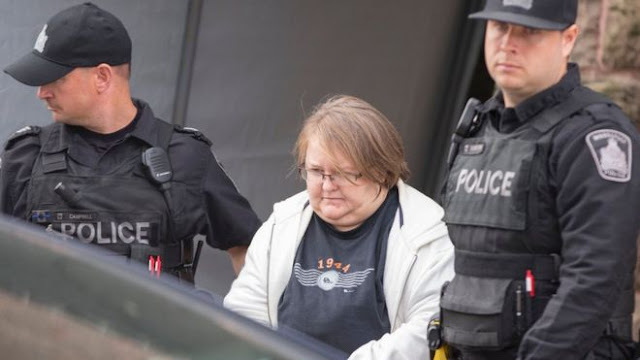 The victims were residents of Caressant Care in Woodstock and Meadow Park in London, Ontario. "We deeply regret the additional grief and stress this is imposing on the families involved," Mr Griffi said in a written statement. Police revealed little details about the motive or circumstances surrounding the deaths in a press conference held on Tuesday morning, but said that the investigation into all eight deaths started on 29 September after police in Woodstock received certain information. "The information came to our attention, and unfortunately the manner in which it came to our attention will form part of the evidence and we can't speak to that," said Woodstock Police Chief Bill Renton. The investigation was a joint effort between Woodstock Police Service, London Police Service and the Ontario Provincial Police. Police said they do not know if there are other victims, but that the nurse worked in other facilities. They are urging the public to come forward if they have any information.